← The Sports Archives – Protect Yourself with Krav Maga! Climbing as a sport has seen a significant boost in interest as a result of the number of indoor climbing centres and arenas that have popped up, providing year-round climbing opportunities, allowing climbers the chance to hone their skills – no matter what the British weather is throwing at them. Those who take part in the sport will have different requirements depending on the type of climbing they opt for, be it bouldering, top roping, sport or trad climbing. Below are a select few climbing areas from around the world to get your imagination going! One of the most famous climbing areas in the world plays host to a massive collection of outdoor climbing areas. 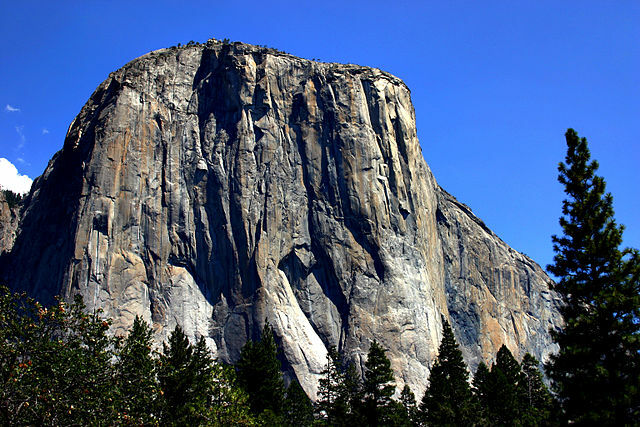 The most famous of these is El Capitan – the largest exposed granite monolith that reaches around 900 metres above sea level. The climbing is provided by two main faces and has routes of varying sizes and difficulties; ‘the Nose’ being the most notable and challenging putting it on a great number of climbers ‘To-do’ lists. This route is an incredibly steep and exposed route where climbers must face the harsh weather of Patagonia. Cerro Torre can be found rising 3,128 metres above a glacier and is the largest in a group of four granite peaks. The climb represents a difficult challenge, even for some of the most experienced climbers with the first ascent being completed in 1959 over four days. Located just two hours south of Auckland on New Zealand’s north island is where you can find this area of volcanic crags and cliff faces offering over two and a half thousand unique climbing routes. The area provides an excellent array of climbs suitable for all levels of climbers and for those wanting to get into the sport, instruction and guidance is readily available. The area isn’t some of the most intense and extreme climbing conditions, however there is a wealth of climbing routes offering a diverse portfolio of routes and a vast number of climbs for people to tackle. The Dolomites cover a vast area of vertical limestone peaks – many reaching over the 3,000 metre mark and is located just south of the border between Austria and Italy. The major selling point for the area is the number of 900 metre, multi-pitch climbs that are within walking distance from the roadside. The most famous climb in the area is the Cima Grande, which offers a 16 pitch, 450 metre climb and is considered to be one of the greatest north walls in the Alps. A relatively new area on the scene compared to some others, however it has already cemented itself as one of the best sport climbing locations on the planet. The island offers walls and walls of excellent limestone climbing; with more than a thousand bolted sport routes there will definitely be something for you. During summer months the island is rife with tourists for the hot temperatures and Greek beaches. During the spring and autumn the area becomes a haven for climbers offering a diverse number of routes accessible for every level of climber. Gareth writes on behalf AXA PPP healthcare providers of international private medical insurance and writes about climbing and other related sports on a number of blogs. This entry was posted in Other and tagged Argentina, bouldering, Cerro Torre, Cima Grande, climbing, El Capitan, Extreme Sports, Greece, Italy, Kalymnos Island, mountain climbing, New Zealand, outdoor activities, outdoor sports, Patagonia, sports and leisure, Sports Archives, The Dolomites, top roping, trad climbing, travel, Wharepapa, Yosemite National Park. Bookmark the permalink. 1 Response to The Sports Archives – Top Climbing Destinations Around The World!